you sure they were 4 piston? most are 2 piston floating. typically a 4piston will be a fixed caliper (2 pistons/side of the rotor). what is the proposed advantage? stopping power comes from pad size AND piston spacing AND piston size, but most importantly tires. personally i dont like fixed piston brakes on a DD. i had them on my RX7 turbo and found them to actually be hard to drive cleanly or modulate properly. might have been then 1980's design, but i cant imagine the newer ones being much different. According to google they are a true 4 piston. Have not seen anyone use them on a Nissan, and I can almost guarantee they will not bolt up with little to no modifications. The 4x4 and Heavy Duty Nissan Hardbody trucks come with 4 piston calipers. For sure they will fit. Finding a Heavy Duty in the wrecking yard would be tough, but finding a 4x4 should not be hard. They will fit. The Toyota ones may but probably won't. I mean, what are the chances that 2 competing companies just happen to space their bolts apart exactly the same? the 4x4 arent 4 piston. they are 2, floating. i have a 4x4. OK, well all Frontiers should have 4 piston calipers. Just grab the rotors, too. No, stock 14-inch wheels will not fit over those rotors. yah its a two piston floating caliper. which frontier has a fixed caliper because they are pretty rare pre 2012 from most manufacturers. Also, every picture i found of frontier 4x4 front calipers were 2piston floating. including the pro x-4 models though 2016. this is according to a few sites like rock auto and autozone's listings. 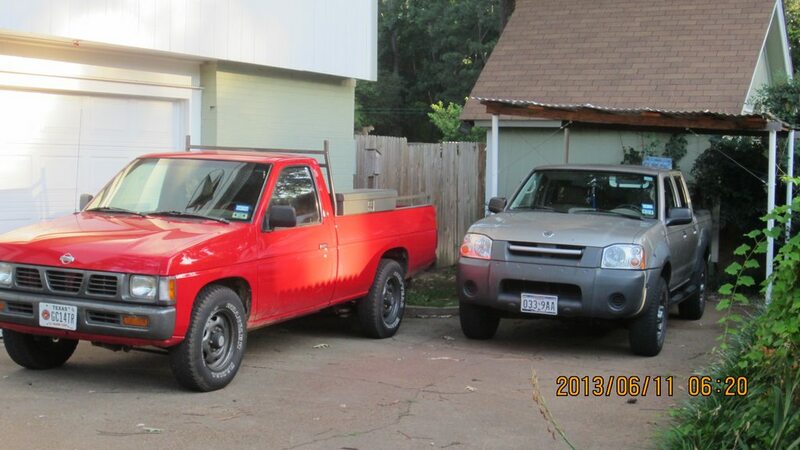 My ex has the 2003 2x4 with Toyota's "prerunner" look. Her brake parts were direct bolt on to my truck, but she wouldn't swap me. Biotch. and the newer one is a 4piston fixed caliper?